Ancient Egypt Civilization was started around the reaches of Nile River in North Eastern Africa. After 7000 years, Egypt still stands proud and tall making the world jealous of its strength and struggle. • From the starting around Nile River gave foundation to life and lifestyles started taking root. During the last predynastic phase, the Naqada culture began using written symbols that eventually were developed into hieroglyphs for writing the ancient Egyptian language. • However, Dynasty Era was the golden period of Egypt. Many customs and traditions were built. Egypt began to spread its name and pyramids, temples, cults, architecture languages, beliefs started forming reforming. • With the rise of Egypt, came many those wanted to add Egypt to their history such as Persia, Greece, Roman etc. And thus Egypt was again transformed, changed and got influenced with foreign architecture, language, cults, lifestyles etc. • Invasion of the Islamic era stayed and influenced much harder and with middle ages and later Ottoman invasion, it became Islam dominated. However, British and French made modern transformations that brought revolutions and now Egypt Tourism is making use of all these histories and their influence to show the world the colours and affluence of Egypt to the world. ⇒Egypt Pyramids – Such as pyramids of Giza, Great Sphinx etc. 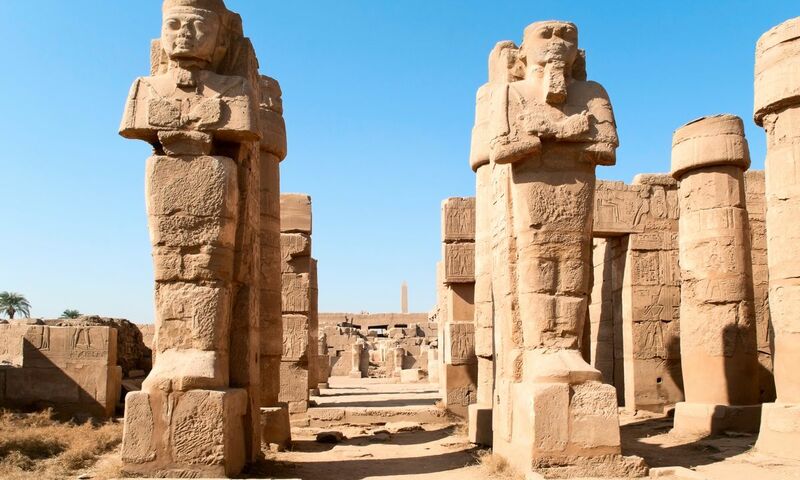 ⇒ Egypt Temples – Such as Luxor, Karnak etc. ⇒ Cultural Visits – such as Nubian village, Pharaonic Villages etc.